Having building work carried out on your home is stressful, inconvenient and exhausting. But it is also an exciting time. Every day you are eager to see what’s new and to find out if the builders are any closer to finishing your hard earned, well deserved extra space or new facility. Once you have waved the builders off, you feel you are another step closer to enjoying the new addition to your home, until you are faced with the dust, mess and debris left behind. Don’t panic because you are nearly there, you may just need a little extra help with the end of builders clean. That is where Rub and Scrub can come in and make your once “construction site” a home again. We will……. Remove labels from all appliances (bathrooms, sinks, windows, toilets and kitchen). Removal of all construction debris and packaging. Cleaning all wooden or vinyl floors of any plaster and paint. Cleaning of all inside windows, window frames, and window sills of any paint, plaster and dust. Cleaning of all skirting board, doors and door frames. Cleaning of all wall sockets and light switches. Cleaning of cabinets inside and out (kitchen, reception room, bedroom, living room). Cleaning of toilets and basins in the bathrooms. Cleaning of Chrome Towel heaters. 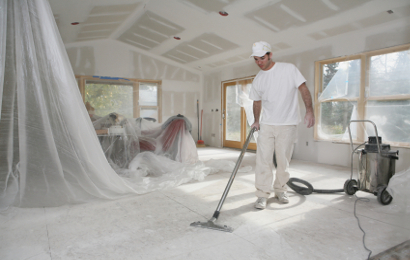 Ensure home / construction area is dust free and left habitat able. We understand you may have certain requirements, so if you prefer, you can provide us with your own task list. Carpet cleaning, upholstery cleaning and professional window cleaning, is not included in the £17 per hour rate for after builders cleaning but can be booked in addition when making the after builders cleaning booking. Out team will leave your home spotless following building works. 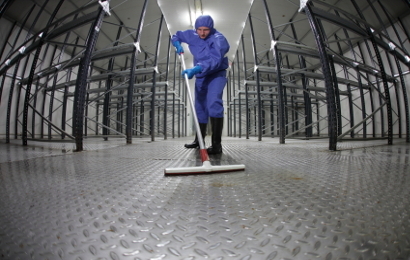 Our cleaning teams cover London or Hertfordshire and you can leave the hassle of cleaning to our professional staff. Fully trained, fully insured and reliable; our company only employ staff who have been vetted.